WIN a craft hamper worth over £200! Last week I came into the office to find a little box of DMC goodies waiting for me! This was the first of our new DMC Creative World products - pre-printed embroidery and cross stitch kits. 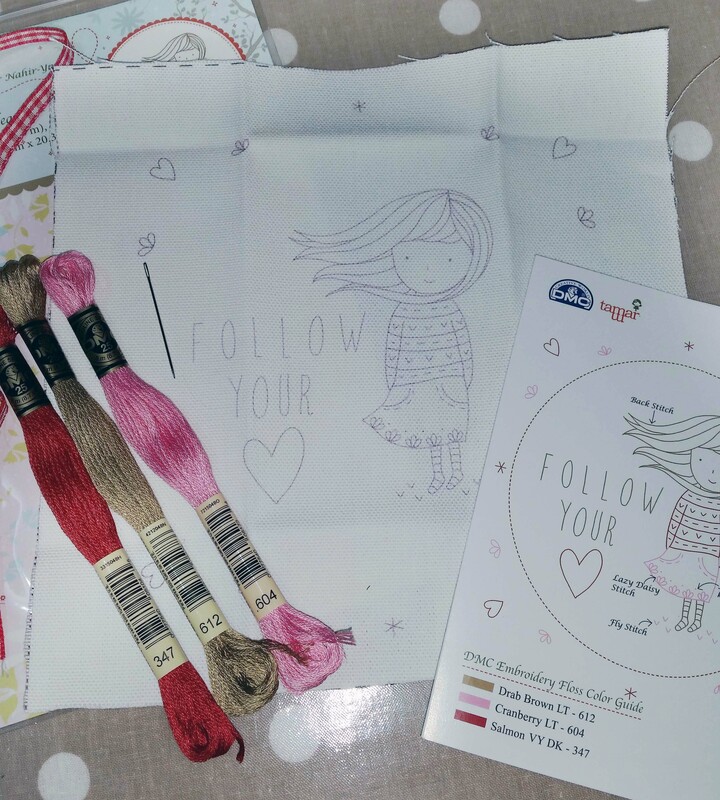 There are nine kits in the collection featuring beautiful illustrations by Tamar Nahir-Yanai, seven embroidery kits and two cross stitch kits including full DMC stranded cottons, fabric, needle and easy to follow instructions. Cross stitching is one of the many crafts I do, I am rarely without a cross stitch project! 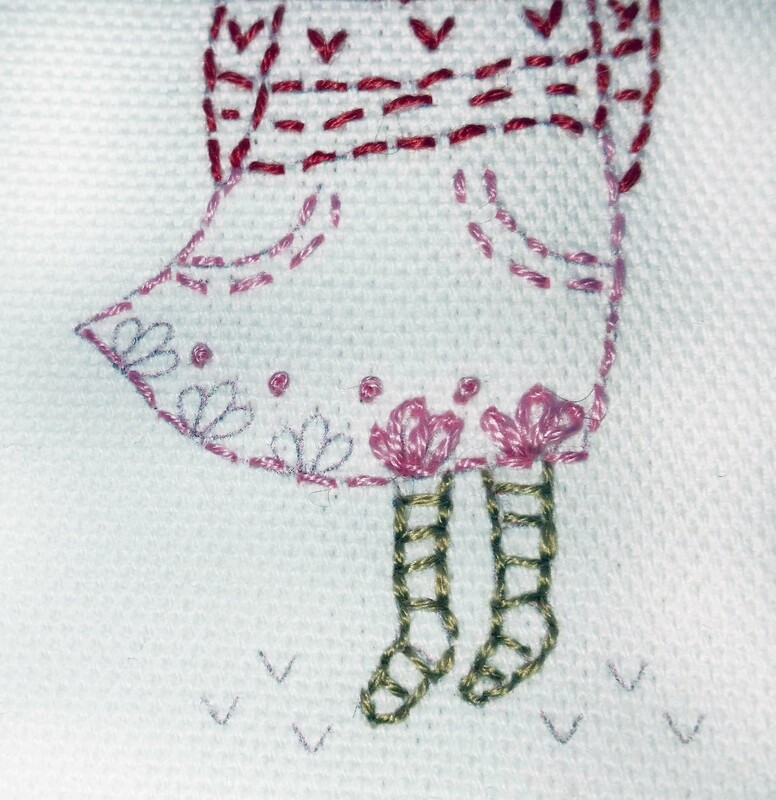 I have however never really tried my hand at embroidery so these kits gave me a great excuse to have a go. I decided to pick the Follow Your Heart kit as my introduction into embroidery, so on Saturday afternoon with the TV in the background I made a start. I would recommend using an embroidery hoop as this gave me a nice taught piece of material to work with. The material provided is a cotton sail cloth and I must say it was a lovely fabric to work with - the needle went through easily and made stitching a breeze. I started off with the stitches I knew from my cross stitching experience - back stitch and running stitch. 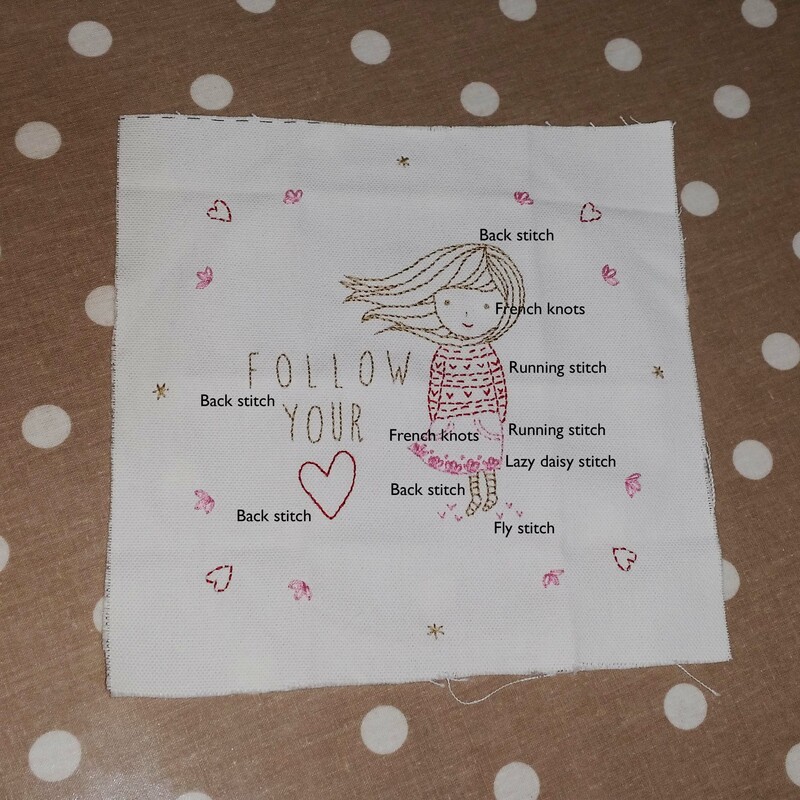 The material comes with the illustration pre-printed so its really easy to follow when you are stitching - the key is to try and keep your stitches as even as possible. Then I moved on to the french knots, these are great for creating 3D elements in your design - they took a few attempts before I got them perfect but the key is to make sure that when you wind your thread around your needle you keep it tight and don't go back into the same hole (which I kept doing), but once I had got the hang of it I had some pretty nice french knots. I then tried the lazy daisy and fly stitches, using the great easy to follow instructions provided - I got to grips with these and discovered not to pull too tight when creating the loops and not to let the thread twist otherwise it doesn't sit quite right. All together this took me an afternoon to finish, so around 4-5 hours. I am really pleased with the result and it will look great hanging up in an embroidery hoop - you even get a small piece of ribbon in the kit which you can use to tie a bow on your finished work hiding the hoop screw. I have to say I loved doing this kit - it was a bit like colouring in with threads - quite therapeutic and great for a crafternoon and I have learnt a few new stitches along the way. DMC give you full stranded cottons in this kit and there is plenty left once you have finished so some great cottons to add to your stash. 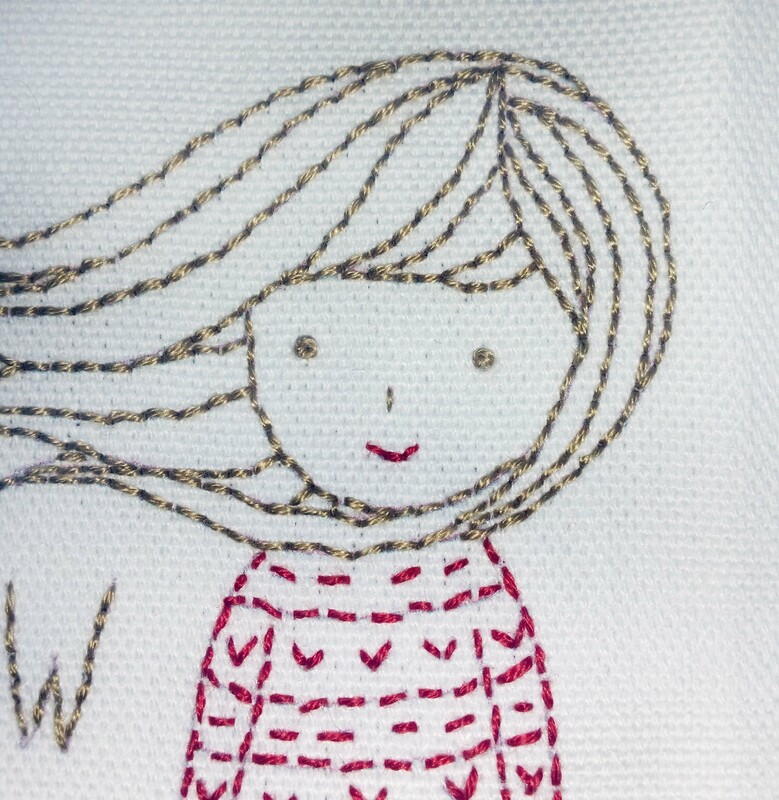 I can't wait to start another embroidery project...to add to the 40 other projects I have on the go!